The security alert occurred in the Galliagh area of the city. A security alert in the Galliagh area of Derry is continuing this morning, but residents have been allowed back into their homes. A number of families had been evacuated from Ederowen Park overnight and Shantallow Community Centre was opened for the residents. Those affected received permission to return this morning as the cordon was reduced. It is understood a suspicious package was discovered in the area. Local Councillors including SDLP Councillor Brian Tierney, Sinn Fein Councillor Sandra Duffy and Independent Councillor Warren Robinson were among those who arrived at the scene last night to assist residents. 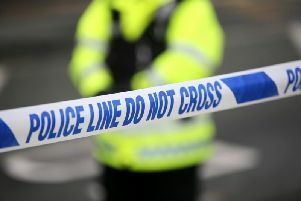 In an update this morning, a A PSNI spokesperson said: “The security alert in Ederowen Park is continuing this morning. “Cordons in the area, however, have been reduced and all residents permitted to return to their homes. Sinn Féin Councillor Sandra Duffy said the incident had caused upset in the community. “It’s very upsetting for many of the elderly residents and those with young families caught up with all this disruption on a freezing cold winter night,” she said.